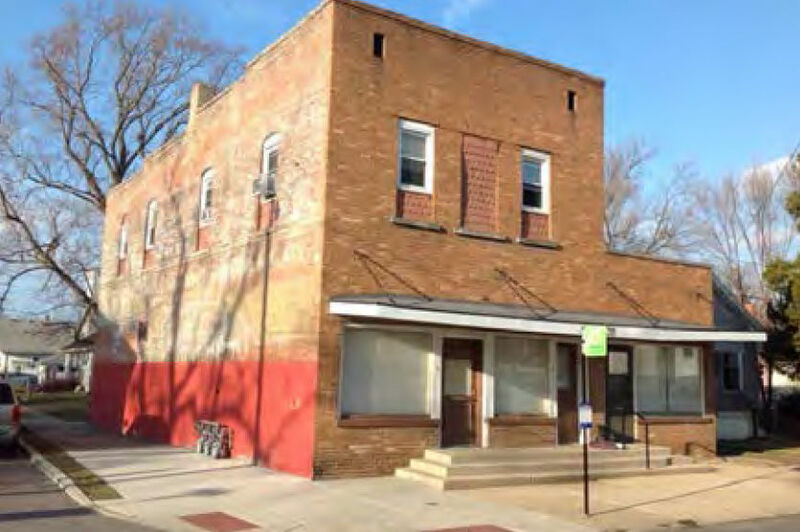 BLOOMINGTON — A proposed education and training center for low-income women in need of basic skills may open in a vacant former grocery store in a west Bloomington neighborhood. The Bloomington Zoning Board of Appeals voted 5-0 Sept. 19 to recommend, with conditions, a special-use permit to allow the Dreams Are Possible training center to operate at 1311 W. Olive St. The property is in a R-1B district, which primarily allows single-family homes. Mary and Hank Campbell asked for the permit for a program they said would help women gain basic skills and education they would need to participate in other training programs such as certification and job retraining at Heartland Community College, building-trades apprenticeships, and programs offered through Mid Central Community Action. Mary Campbell is a retired Illinois State University social work professor who co-founded, with Feli Sebastian, Labyrinth Outreach Services to Women, which helps women released from jail or prison transition back into society. In 2016, Labyrinth became part of YWCA McLean County. “Having nothing else to do with our time we decided what we really wanted to do was start a program for all women who struggle, women who can’t make that leap from the minimum-wage-level job to even Mid Central Community Action or one of the other programs,” Mary Campbell told the board. “According to a report on ‘Opening Doors’ in the 8/26/18 Pantagraph: ‘A person working a full-time job at minimum wage would need to have 2.1 jobs to afford’ rent and utilities in Bloomington-Normal,” the Campbells wrote in their petition requesting the special-use permit. The Campbells’ purchase of the building is contingent on receiving the special-use permit. They plan to make renovations to open the center on the first floor and rent out a second-floor apartment. The center would serve as a neighborhood-based outreach to women who could gain hands-on experience, individualized training and mentoring, they said. The request will be forwarded to the City Council for action at its Oct. 22 meeting. Among those speaking in favor of the project were Cameron and Anthony D’Agostino, who rent the second-floor apartment above the proposed center; Sebastian; and ISU criminal justice sciences professor Dawn Beichner, who was involved in Labyrinth. Board Chairman Tristan Bullington said a resident in the neighborhood sent a letter expressing concerns about the center’s impact on parking in the area. Another neighborhood resident, Charles Smock, said he opposed the project because of a lack of parking and “too many unknowns” such as the number of participants in the program. Mary Campbell said she anticipates most of the participants don’t own cars and would be riding buses to and from the center. The Campbells also agreed to reconfigure space at the back of the building to provide four off-street parking spaces. The city planning staff recommended approval with the condition that 10-foot transitional yards be added to the sides of the property not adjacent to streets to provide a buffer and screening for adjacent properties. The property abuts single-family homes. Also nearby are Sarah E. Raymond School of Early Education, at the corner of Magoun and West Olive streets, and West Olive Faith United Methodist Church, which is across from the property, on the south side of West Olive Street. If you would like to support programs like this, please consider contributing to Dreams Are Possible Fund. To donate online, click here.